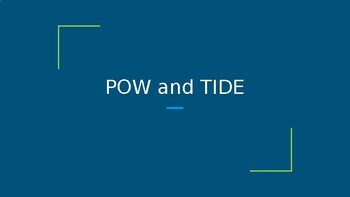 PowerPoint presentation on introducing POW and TIDE from SRSD. 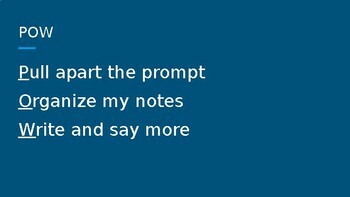 This has prompts to practice "Do Whaaat?". 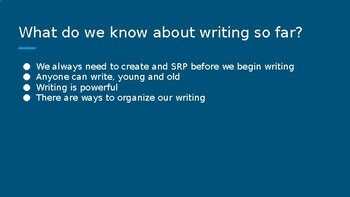 It also contains video clips on POW and TIDE from the SRSD website and links to SRSD website to work though exemplars.